Today in Masonic History George Leonard Berry is born in 1882. 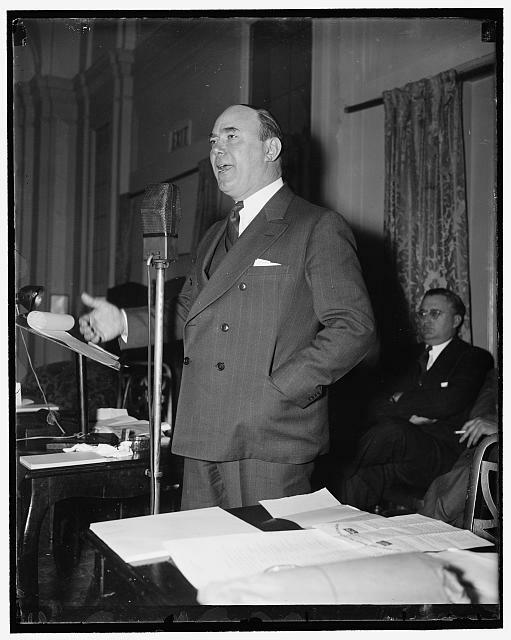 George Leonard Berry was an American labor leader and United States Senator. Berry was born on September 12th, 1882 in Hawkins County, Tennessee. At the age of 9 he was a pressman's assistant, this caused him to leave home at a young age. By 1907 he was a labor union activist in his industry. He was elected President of the Pressman international Union. During Berry's tenure as President the Union acquired the Hale Springs Resort. A mineral water resort in East Tennessee. They opened the resort to members as a sanatorium for those who were suffering from tuberculosis, sometimes referred to as "consumption". On the same property the Union established a trade school for it's members and the international headquarters of the Union. The facility eventually be called the Pressmen's Home and even had it's own hydroelectric power plant. During World War I, Berry served with the American Expeditionary force as a Major from 1918 to 1919. In 1924, Berry was almost elected as the Vice Presidential nominee for the Democratic Party. In 1937, he was appointed to fill a United States Senate seat when the sitting Senator passed away. He ran in 1938 for the rest of the term and was defeated. As a pro-union candidate Berry did not fit in with the political views of the Democratic party of the time. After leaving Congress in 1938, Berry returned to running the day to day operations of the Union. Berry also served as the vice commander of the American Legion national organization. Some sources list him as one of the founding members. Berry passed away on December 4th, 1948. Berry was a member Knights Templar and a member of the Ancient Arabic Order of the Nobles of the Mystic Shrine. He was also an honorary member of St. Brides Lodge in England.